In the video below, I demonstrate driving a modern 2 wheel drive, front wheel drive vehicle on some hilly unplowed snowy roads. I also will show why in some circumstances traction control can limit your ability to climb or get unstuck. 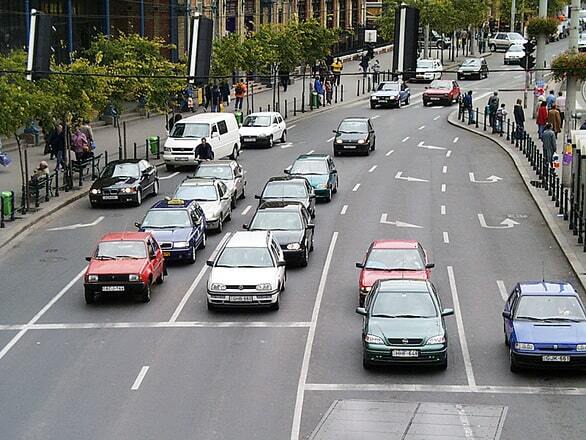 There are certain situations where turning traction control off can actually help. 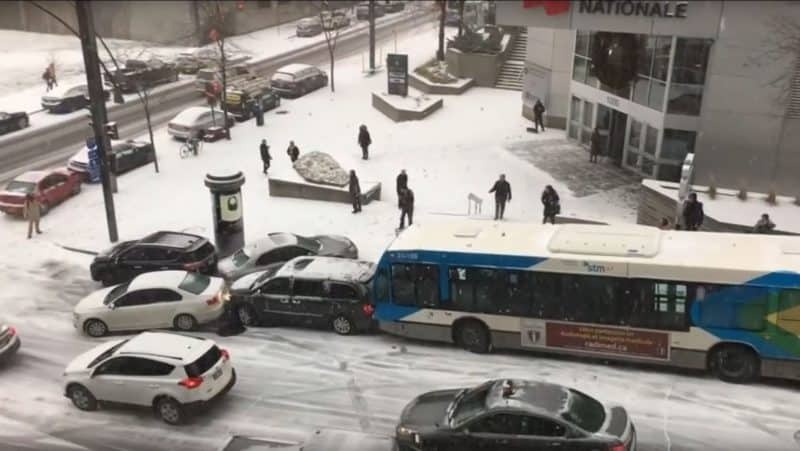 This video of a pile up in Montreal has been making the rounds in social media. 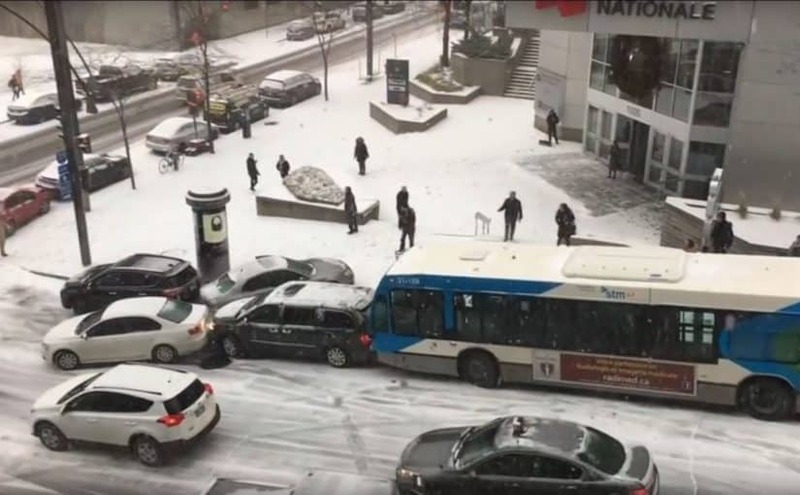 It shows multiple vehicles, including two buses, a police car, and even a plow truck piling up on a very slippery roadway. It also perfectly illustrates both what works, and what not to do. The majority of the vehicles, including the plow truck, did not know what to do. Do you? Many of us spend much of our time behind the wheel. It is important to keep this in mind when planning for the unexpected, since you should incorporate all of the places you spend your time. The emergency supplies you keep in your vehicle are important, but so is how you drive, and like so many other skills it should become a practiced habit.